Ionized calcium has a biological activity, this study has been debated whether the status of calcium homeostasis in correlated with anti-Mullerian hormone level how does influence the reproductive ability in some pre-menopausal women. The current study was conducted in the college of science for women during the period from February 2015 to May 2016, study population was involved eighty volunteer women (20-35) years enrolled in this study, fifty women with primary infertility considered as a study group, while the other 30 volunteers parous women considered as a control group. ELISA kit was used to assay the serum level of anti-Mullerian and parathyroid hormone, whereas colorimetric technique was applied to evaluate the total calcium, albumin, and inorganic phosphorus serum level, while ionized calcium is achieved by special equation depending on the total calcium and albumin level. Independent T-test analysis was applied to specify any significant variation for investigated parameters between control and study group, linear regression analyses were used to explore the association between ionized calcium and anti-Mullerian hormone (AMH) level in both control and infertile groups. The results revealed that infertile group have significantly (p<0.001) lower mean serum ionized calcium level(4.31±0.61mg/dl)than the control group(5.57±0.45mg/dl) accompanied by significantly (p<0.001) increase in parathyroid hormone level (49.2±32.2 ng/dl) in a study group in comparison with a control group whose reported (92.1±22.2ng/dl) mean concentration ,infertile women revealed significantly decrease mean level in anti-Mullerian hormone (2.59±1.38ng/d) compared with the control group (3.44±1.00ng/dl), linear regression analyses revealed a significant positive relation between's ionized calcium concentration and AMH level (r=0.58, p=0.000, n=40) in the control group, as well, there was a significant strong positive connection was seen between serum ionized calcium and AMH level for the infertile group (r=0.70, p=0.000, n=50),our conclusion suggested that any physiological process including reproductive ability may need in one way or another to balance in the availability of ionized calcium. 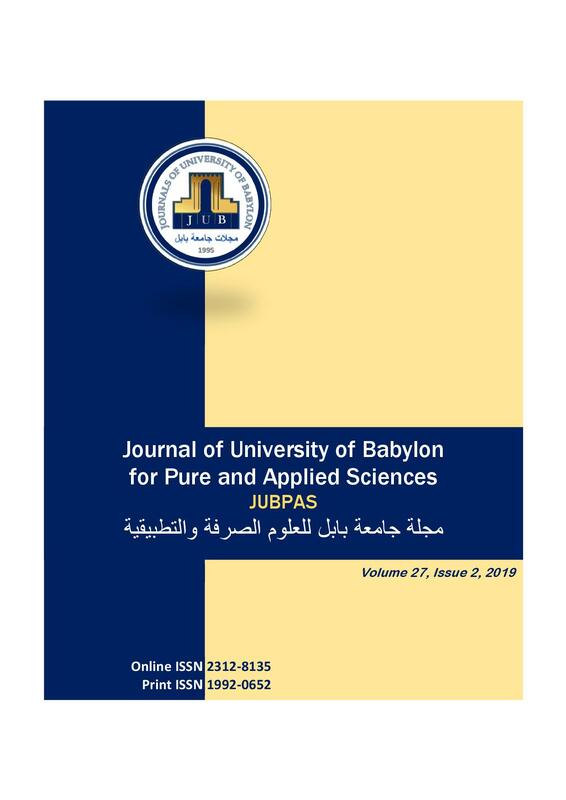 N. Ibraheem, M. Hasan Al-Murshidi, and W. Hasan, “Homeostasis Events for Serum Ionized Calcium Accompanied by Anti- Mullerian Hormone in Some Women with Primary Infertility in Babylon Province”, JUBPAS, vol. 27, no. 2, pp. 7 - 16, Mar. 2019.